They never played against one another on NHL ice, but San Jose Sharks alternate captain Couture and Hall of Fame forward Lindros share a common bond when it comes to hockey: both have dealt with concussion issues and both are passionate about raising funds and awareness for the condition. 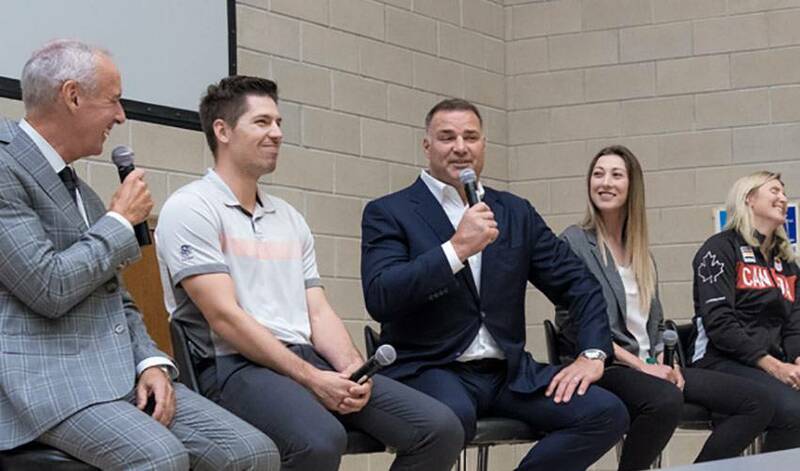 In the days leading up to the fifth annual See The Line symposium at Western University in London, Ont., Lindros, whose hockey career was affected by concussions, spoke passionately about the importance of concussion research. 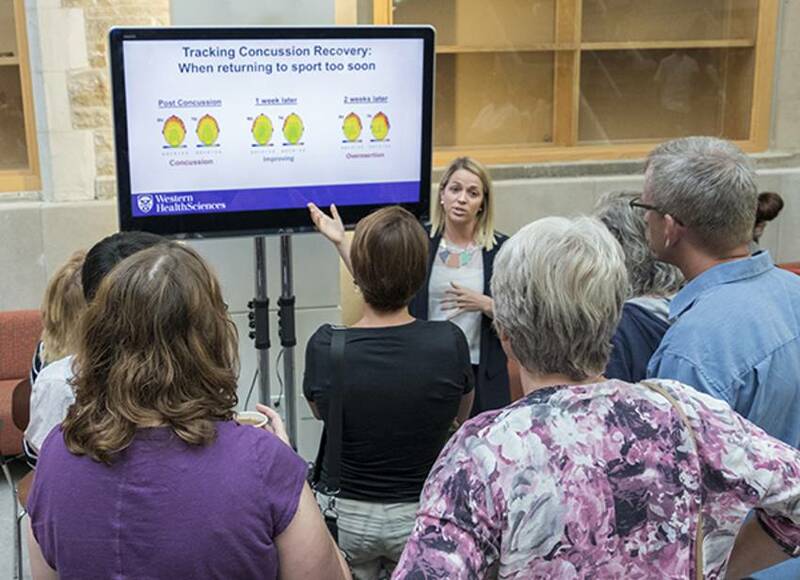 See the Line symposium attendees have the chance to engage with and ask questions of the athletes, and concussion advocates, each with their own concussion story to tell. This year, over 800 people registered to attend the afternoon with over 75 hoping for a free spot on a waiting list. Since 2013, thousands of medical and health professionals, athletes, coaches and community members have attended See the Line (a 10-year initiative) events, which have also included a concussion education workshop, a continuing medical education seminar, and an exclusive evening event. Couture, who suffered two concussions during his Ontario Hockey League playing days, hosted his first annual All-in For Brain Research charity casino fundraiser later in the evening after the symposium. The night brought out several athletes and personalities, including fellow NHLPA members Drew Doughty, Jamie McGinn, Dylan DeMelo, and Chis Tierney. All proceeds go to support concussion awareness, research and rehabilitation programs run by the Fowler Kennedy Sport Medicine Clinic and Western University. There was a time when Couture, who had originally hoped ticket sales would reach 300, wasn’t quite certain how the event would go over. A sellout of 560 tickets sold, along with an estimate of over $100,000 raised, left the 28-year-old humbled. Lindros, who donated $5 million to London Health Sciences Centre in 2007, is equally grateful. Honorary Chair for See the Line since its launch, Lindros has worked tirelessly to raise awareness for the initiative, and help bring concussion research at Western University to a national level. The 2016 Hockey Hall of Fame honoree has taken an active role in this program and helped bring on board the National Hockey League Players’ Association, who in 2015 made a challenge donation pledge of $500,000. The NHLPA had representatives at Wednesday’s symposium and gala. A sentiment echoed by Couture. Four NHL legends will have their legacies forever enshrined with one of hockey’s greatest honours as the Hockey Hall of Fame welcomes the class of 2016. In the final of a four-part series, we look back at the career of Eric Lindros. Wearing an orange toque, orange hockey jersey, shorts and flip-flops, Lindros beams as he looks out on the ice as two of the teams taking part in the charity hockey event that bears his name battle for control of the puck off the opening face-off.